Without saying “I’m shy”, there must be a reason why you’re anxious about speaking French. Whether it be reading French infront of a classroom, answering a question, ordering food, or just plain asking “where’s the bathroom”, speaking French can be daunting at times. Here are some tips on speaking French without all the worry. My first tip is always the most obvious, relax. Take a few deep breaths and be confident in what you’re going to say. If you have too much anxiety then you’ll actually make MORE mistakes than if you remained calm. Know exactly what you’re going to say, maybe even think of one or two follow up statements or questions. Then practice the dialog in your head or under your breath to make sure your pronunciation is on par. Would you like a foreigner to speak English extremely quickly, meanwhile you don’t understand one word he or she just muttered? Your goal should not be about talking 100 miles a minute, it should be about correctly pronouncing your words. Speak slowly, it helps everybody understand you better and gives you more time to formulate your next move in the conversation. If you think you’re pronunciation could use a little help, click this link. Confidence only comes from you knowing your stuff. You may be scared to speak French because you lack confidence, especially when you KNOW exactly what to say, but don’t say it due to the fear of being judged or making a mistake. My most important tip to avoiding speaking anxiety is to properly learn French… PRACTICE, PRACTICE, PRACTICE. Listen to French music, watch French movies, learn new vocabulary, and casually speak to anyone competent enough to respond in French! One of the best things to do is discover a nice quiet place alone; find a French book or article and read it OUT LOUD. Also, if you find yourself talking about certain topics a lot, such as politics or movies… go learn some extra vocabulary on those subject matters so that you are better prepared to speak. What happens if you do make a mistake? The worst case scenario could be you get publicly ridiculed (not likely), the person simply corrects you (probable), or the French native works with you to better understand what you’re saying (likely). Depending on the situation, the native may try to clarify what you meant to say… or try to reword your previous statement… pay attention to how they do so (this allows you to get it right the next time!) and just keep moving on with the conversation. Sometimes I realize I made a mistake after the conversation.. but they did not make any reference to it because it was pretty “insignificant” (i.e using the wrong gender once is not a dire mistake). Mistakes are how we continue to learn and to grow with French, you didn’t come out of the womb speaking English… don’t expect to do so with French! With all the tips above, I hope you become a little more confident and willing to speak French in any situation! Any more helpful tips can be posted below in the comment section, no subscription required. 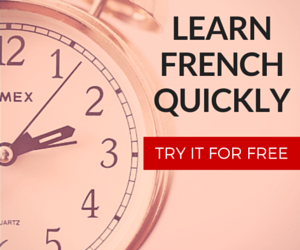 To return to our French Language Learning Section, click HERE. Speaking of being terrified of speaking french… When I started french in high school, I felt like everybody else in the class was WAY ahead of me. I was pretty terrified of that class. Early on in the year (after a few weeks?) I stayed late and I told the teacher that I was thinking of dropping the course. He asked me why and — without realizing that I was about to be very honest with him — I said, “Because I am afraid you are going to ask me a question!”. To this he replied very cannily that he would not ask me any questions unless I put up my hand. This took my so much by surprise not only because it was the last thing I expected, but also because I was immediately convinced that I would continue to take the course! It was an odd experience to have been so miserable and then to become suddenly very happy! Long story, short: I took 5 years of high school french (yes — we had 5 years of high school here in Ontario at the time). I think I got an “A” in every year! As it happens, all of my french teachers complimented me on my accent. I am still grateful to that teacher for being so smart!! Some people are just not cut out for language learning and by your description you are apparently one of them. Teachers will never say something like that unless they had plenty of experience with students before. If you’re still not ready to drop the axe I suggest you buy one of the amazing french books availiable at amazon. I purchased last year “The ultimate guide to french language” and it was the lift I needed to propel me in my quest to become an adept french speaker. French is extremely hard, take it from me. I speak 5 languages. Your comment scared me because I thought you were calling me “not cut out for language learning”!! hahahah. Regardless, remember that if you’re replying to a comment, you should hit reply rather than create a completely new comment. Also, everybody has the ability to learn a language, except some people like you have better methods to doing so (congrats on the 5 languages). This is horrible for you! Can you drop the course? Something is not right with the course. You cannot be the only one who is feeling like this if you all started with the same abilities. 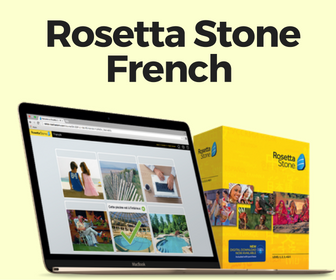 I imagine in a better situation you would enjoy learning french and have a bueatiful accent. I have a major problem. For the past 8 years, the 2nd language I chose to study was German. When I signed up to go to University, nowhere did i specified that I will be learning French. Long story short, I can’t seem to learn it quick enough by teacher standards, which claims they started from the beginning with French language. Beginning meaning rules of pronounciation then jumping to reading and solving exercises with full long sentences in them, that I don’t even know what they mean, then reading and translating texts (no vocabulary at all). All in all, I’m horrfied of the language in each and every way possible. I almost cry when I have to study it, or do exercises, or answer to a question that I do not understand. I have an anxiety/panic attack each time I try to actually learn something of it, and I can’t overcome it. Each time, without fail, it has happened that I enter this state of depression at French classes, because they claim I should know what words they are saying. Normally I never felt that way about not understanding a language. I don’t know what to do.